This CHFI training course will give you the necessary skills to identify an intruder's footprints and to properly gather the necessary evidence to prosecute. 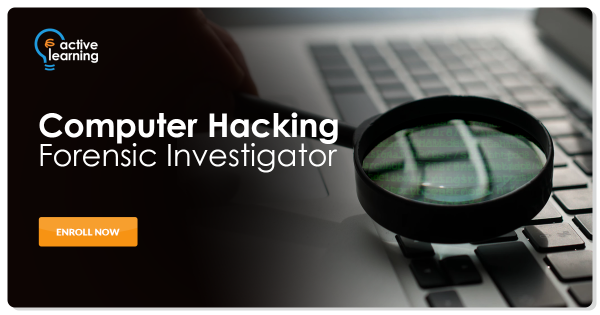 Many of today's top tools of the forensic trade will be taught during this course, including software, hardware and specialized techniques.If you or your organization requires the knowledge or skills to identify, track, and prosecute the cyber-criminal, then this is the course for you. Police and other law enforcement personnel, Defense and Military personnel, e-Business Security professionals, Systems administrators, Legal professionals, Banking, Insurance and other professionals, Government agencies, IT managers. It is strongly recommended that you attend the CHFI class before enrolling into CHFI program.